BYD, the Chinese electric vehicle maker backed by U.S. billionaire investor Warren Buffett, has signed an agreement to open a factory in Morocco to build battery-powered passenger cars, buses and trucks. The factory will be in the new Mohamed VI Tangier Tech City, which is part of a project between China and Morocco to create what some are calling a North African Silicon Valley. BYD also plans to build batteries on the 50-hectare site, where it expects to employ 2,500 people, a joint news release said. 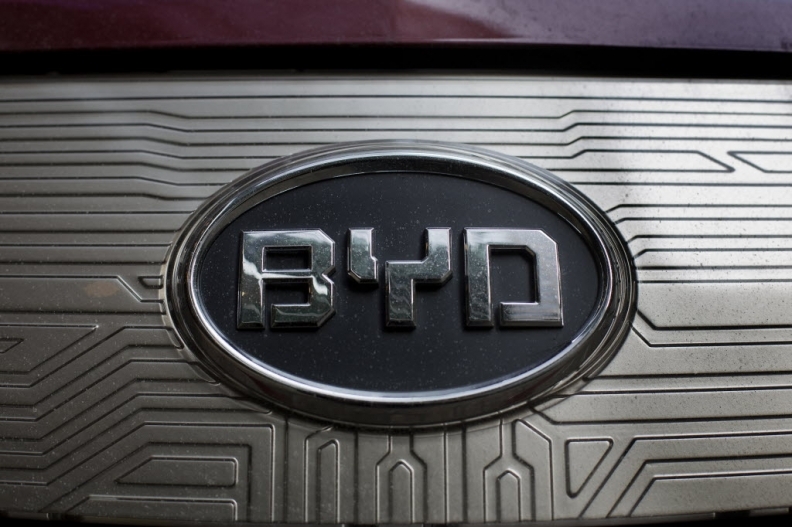 BYD is scheduled to start production next year but no details were released on what it plans to make first. BYD enters a fast-growing vehicle production market. Renault has one of two Moroccan vehicle assembly plants in Tangier, where earlier this year it produced its millionth vehicle since opening the factory in 2012. Renault’s other factory is in Casablanca. PSA Group will begin building cars near the Moroccan coastal city of Kenitra in 2019. BYD has been aggressively building up is global presence this year. The company opened its first electric bus plant in Europe in April. The 20-million-euro factory in Komarom, northern Hungary, has capacity to make 400 battery-driven buses annually. Those buses will be exported to customers across Europe, BYD said in a release. The company also announced plans in March to invest 10 million euros to build an electric bus plant in France. The factory will be constructed in Allonne, northern France. It will start production in the first half of 2018 and it will produce up to 200 buses annually, BYD said. In addition, BYD also has a partnership in the UK with Alexander Dennis Limited (ADL), which has already delivered electric buses to the cities of Liverpool and London, the company said. In North America, BYD has an assembly plant in California to supply electric buses and announced plans last month to open a factory in Ontario, Canada, to make short-range vehicles such as garbage and delivery trucks. BYD, however, has not yet realized its ambition to sell cars in Europe. Five years ago, BYD Chairman Wang Chuanfu told the Financial Times that BYD would export the e6 electric car and the S6DM plug-in hybrid from China to Europe by the end of 2012. That plan didn't materialize. In China, BYD has a partnership with Daimler. The partners plan to expand their cooperation to bring new EV models to the world's largest market as China seeks to phase out vehicles that are powered by fossil fuels. BYD is discussing more investment in Shenzhen Denza New Energy Automobile, its 50-50 venture with Daimler, BYD Chairman Wang Chuanfu said in September. Daimler and BYD aim to add more models under their unprofitable Denza brand, which only sells one model, a five-seat sedan. Morocco wants to add a fourth major automaker plant before the end of 2021, with production slated to start in 2023 or 2024, to help it reach its goal of having enough capacity to make 1 million vehicles a year by 2025. At that level, Moroccan officials estimate the country would rank among the top 15 vehicle-producing nations in the world. The memorandum of understanding with BYD was signed Saturday in Casablanca by BYD Chairman Wang alongside Morocco’s minister for industry and investment, Moulay Hafid El Alamy, and the country’s financial minister, Mohamed Boussaid. Morocco was one of the few countries in the region to avoid a big drop in foreign direct investments during the global financial crisis of 2008-2010 and the Arab Spring uprisings of 2011. A key to its success was marketing itself as an export base for Europe, the Middle East and Africa. The EU and Morocco established a free trade area in 2000. The countries have been working to expand the agreement since then. Morocco has used the combination of low inflation and low-cost labor, generous tax incentives, an improved transportation infrastructure as well as economic and political stability to attract automotive companies. The average monthly wage in Morocco is less than 400 euros, compared with 2,000 euros just across the Mediterranean in Spain. Inflation has risen at a rate of 1.5 percent a year for the past decade. The tax rate on companies is 0 percent for the first five years and businesses are given a big break on value added tax. The country’s Tangier Med Port is already capable of handling 1 million vehicles a year. In addition, a high-speed rail line between Tangier and Casablanca is set to be operational in 2018.